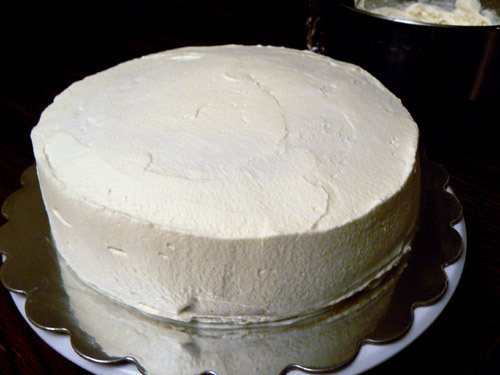 A popular Chinese cake recipe is for sponge cake. This is an amazingly light tasting cake with incredible texture that will leave you wanting more. The good news is, that while the recipe is quite involved, it’s not particularly difficult to put it together. Here’s what you need to make my Chinese cake with fruit. Fruit, cut into small pieces. In our photos, we are using strawberry, canteloupe and mango, but you can include kiwi, other berries, canned mandarins and more. * Most authentic Chinese sponge cakes include vanilla mousse and custard, but if you like a little chocolate, by all means go for it. ** You can do some decorative piping with whipped cream, but more complex designs are difficult. If you plan to do any detailed decorating, you may want to have some butter or shortening-based icing available to do your decorating. 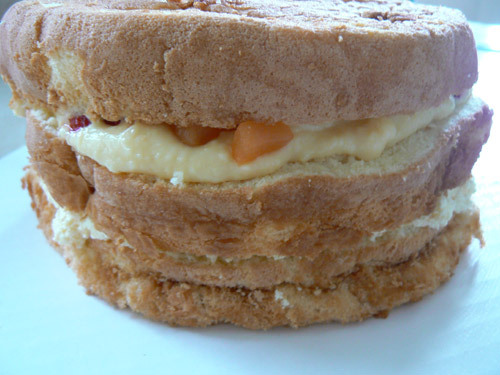 Most Chinese sponge cakes are decorated with whipped cream and fruit, so it’s not necessary to get too complicated. Prepare the mousse and custard according to the package decorations. Cover and refrigerate to set for several hours or overnight. 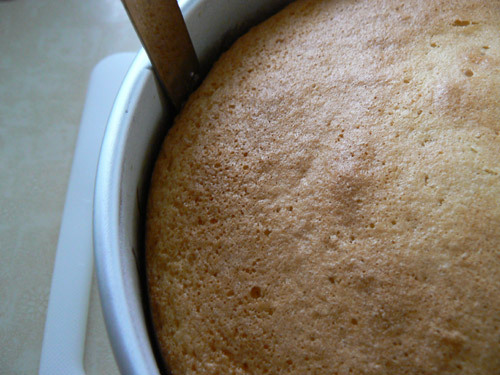 Bake your sponge cake in advance as well, so it has time to cool completely. You can use a package mix or try our scrumptious recipe. Cut the fruit into small pieces. You will need enough to cover 2 layers of your cake. If you plan to decorate the top of your cake with fruit as well, save some for that. If you use frozen fruit or berries, you may want to drain any excess liquid before you put them in your Chinese cake. Prepare your whipped cream. 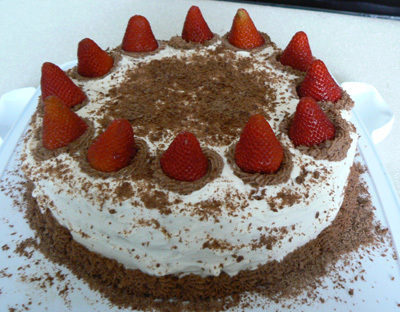 Always use fresh whipped cream for your cake as it will taste much better. To keep your whipped cream stable for a longer period of time, try our stabilized whipped cream recipe. It will make it easier to decorate your cake and make it last longer, while still looking beautiful. There is really no right or wrong way to assemble this cake because it’s going to be delicious no matter what, but here is our suggestion. To start with, cut your cake twice to create 3 layers. You can use a knife, thread or a cake leveler…whichever is your tool of choice. The idea is to get 3 layers that are as even as possible. 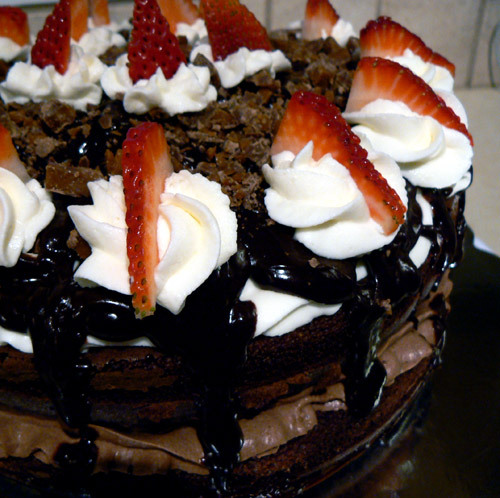 Bottom Layer: Mousse and fruit. 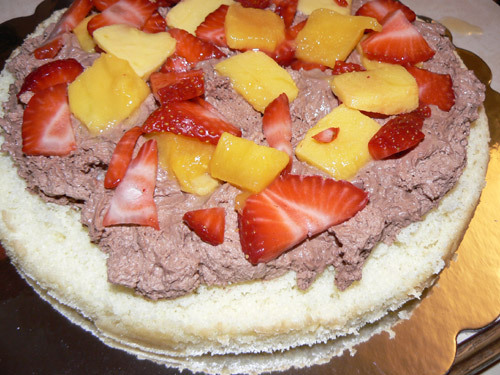 In the picture below, we’re using chocolate mousse and we topped it with fruit. Next Layer: Custard and Fruit. Now you can top the next layer with custard and some more fruit. Next, place the top on the cake. It may look a little lopsided, but you can usually smooth this out in when you top it with whipped cream. TIP: If you want to avoid lopsidedness as much as possible, you can actually pipe some whipped cream in circle around each layer, going as close to the edge of the layer as possible. 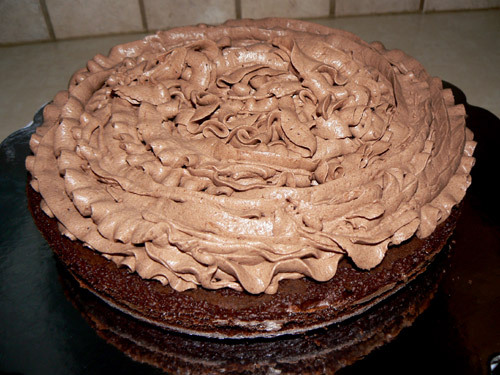 Do this before you add the mousse / custard and simple put the mousse and custard inside the whipped cream circle. 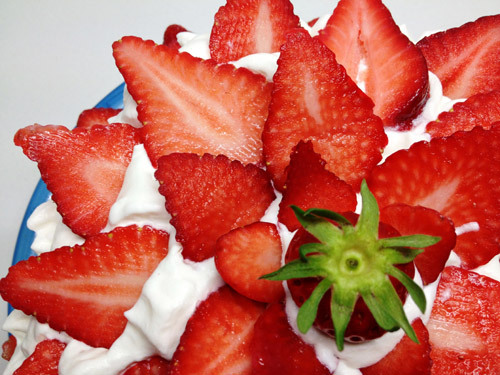 Top with Whipped Cream: Now you’re ready to ice the cake with whipped cream. 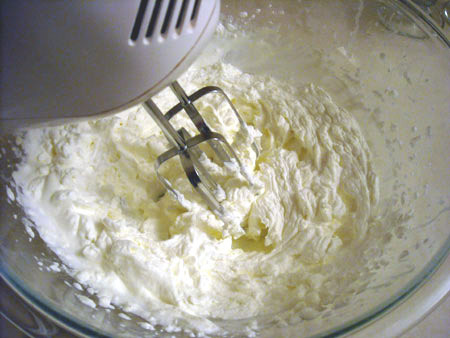 Using a spatula, start by spreading the whipped cream on top and then work on the edges. Use a clean cloth to wipe off any mess from your cake board…there was definitely plenty of mess to clean up before the lovely picture below was taken. We also used a decorating turntable to produce a smoother result. Decorate Your Chinese Cake: Now you can decorate your cake as you with. 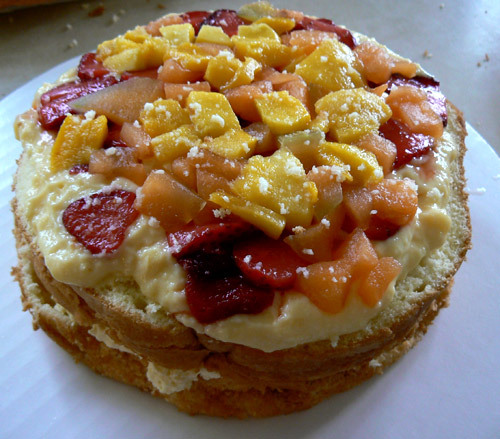 As mentioned, many traditional Chinese Sponge Cakes are simply decorated with whipped cream and topped with fruit.